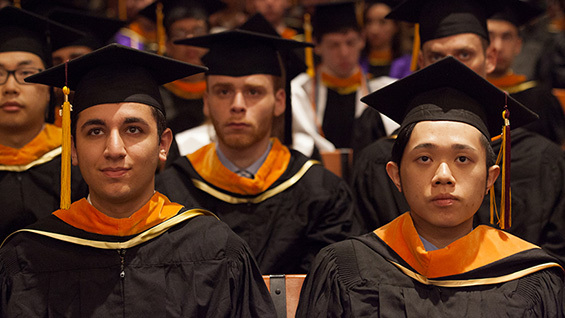 Cooper Union's 155th Commencement will take place on Wednesday May 28, 2014, 10:30 am in The Great Hall of the Foundation Building at 7 East 7th Street. The commencement speaker will be announced soon. Because of the closure of Peter Cooper Park due to construction, the reception after commencement will be held in both the Foundation Building and 41 Cooper Square across the street. For details see the commencement page.